The growth of nationalist parties across Europe represents a major threat to all good in humanity, Feminist Initiative party leader Gudrun Schyman has claimed in a joint opinion piece penned with fellow party member Soraya Post published by Europaportalen. 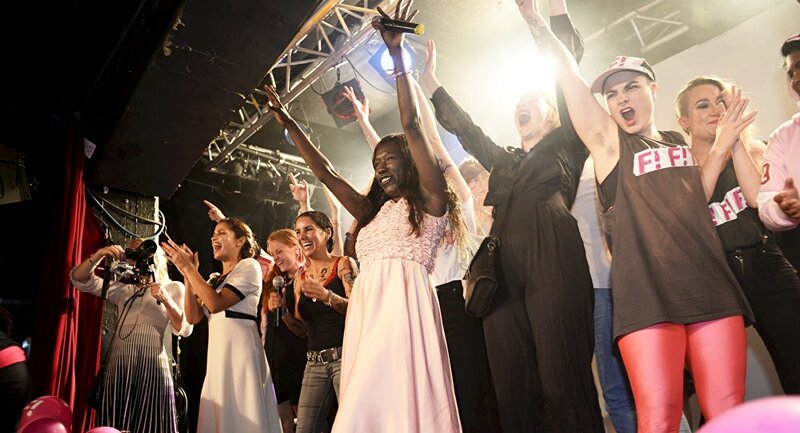 The Feminist Initiative claims that support for parties with xenophobic and nationalist ideologies is increasing in Sweden and the rest of Europe. At present, 13 percent of all members of the European parliament are from right-wing and euro-skeptic parties, they wrote, citing Viktor Orban's nationalist Fidesz party that strives to "preserve Hungary's homogeneity" and the Freedom Party of Austria as the most "blatant" examples. According to Schyman and Post, the nationalist parties want to "turn back the clock," reversing society to "traditional roles" for women and restrict women's right to decide over their own body. "Their policies exclude ethnic and religious minorities, refugees and asylum seekers, LGBT people, feminists and human rights activists — virtually anyone who does not fit in their mall," Schyman and Post wrote, calling it a "threat to our democracy and the idea of everyone's equal right to participation." According to Schyman and Post, nationalism affects women's rights across the EU in a negative way. Among other things, they claim, "traditional values" are now prioritized over gender equality throughout Europe. They single out Poland for wanting to introduce harsher abortion laws. The Feminist Initiative also claimed that women's movements in the EU are increasingly suffering financing troubles, noting that women's rights activists are silenced, exposed to hatred and threatened with sexual violence. The authors hinted that the threat of nationalism is currently at such a high level that Europe risks revisiting the previous experience of Nazism from the 1930's. "We have already witnessed the cruel consequences of nationalism in Europe, what the 'we and them' type of rhetoric and the dehumanization of a group of people can lead to," Schyman and Post wrote. According to the party, democratic alternatives, anti-racist organizations and feminism, which is "nationalism's archenemy" are preferable solutions. Sweden's incumbent red-green coalition government has labeled itself "the world's first feminist" one and never misses an opportunity to make a stand for equality and women's rights. The Feminist Initiative is a self-described radical Swedish party that has advocated "completely open borders." Formed in 2005, it received only 3.1 percent of the vote in the 2014 general election, falling below the electoral threshold, and has yet to enter parliament. By contrast, the right-wing Sweden Democrats party from the opposite side of the political spectrum has, according to opinion polls, cemented its position as Sweden's third largest party after only traditional heavyweights the Social Democrats and the Conservatives.